Go Blue Inc is a Caribbean Management Consulting and Training Company. We are a dedicated team of professionals who are committed to helping our clients create amazing value, deliver unsurpassed customer service excellence and doing what is required for their ultimate success. Our team has considerable knowledge and experience in helping businesses grow and develop. Our competences are in the areas of strategic planning, human resource management with a concentration on employee assessment and development, employee engagement and training. We put people at the centre of what we do. We believe that companies can only change through the strength, ability and attitude of its people. We are passionate about providing fresh and innovative approaches that guarantee the success of our clients. We believe that each organisation is different and presents different opportunities for growth and development. Our approach is to apply different strategies for each of our clients based on their needs. To be an innovative service driven management company committed to the success of our clients. To provide our clients with strategic, logistical and technical services and to consistently provide fresh and innovative approaches that guarantee the success of our clients, stakeholders and shareholders. To always have a people first approach to doing business – We believe firmly in the ethos of human potential and development. To be consistently professional in all that we do. To consistently provide an unparalleled Customer Experience in every area of our business. To Always uphold the highest integrity in every aspect of our business. To always use a team approach so that we consistently deliver high standards of service to our clients. A people first approach! To always strive for continuous improvement, we will constantly update our knowledge. Ms. Judy McCutcheon has over 20 years’ experience as a consultant and trainer, working with major organisations within the Caribbean region, North and Central America. Her areas of competence are in organizational redesign, employee assessment and development and training. 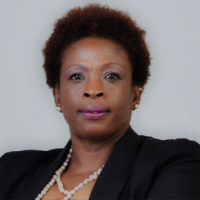 Her consultancy experience includes working with organizations to help them identify their gaps in the areas of people, processes, and systems; and then help them to put systems in place to fill those gaps. She has worked in various industries including, Financial Services, Manufacturing, Hotel and Tourism, Telecommunications, and Retail. Judy is a published writer whose articles can be found in newspapers in Grenada; she is committed to creating value for others, and use her writing as an avenue to help create impact and add value to others. Aaron has a passion for the growth and development of people. 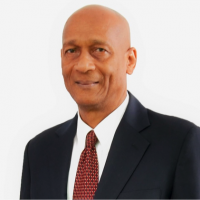 He has a keen interest in them being able to take control of their finances and to have access to low-cost tradional source of funding, as is evidenced by his years of dedication to the development of the Credit Union movement in the Caribbean. He is currently serving as a Director on both the World Council of Credit Unions and The Caribbean Confederate of Credit Unions. GO BLUE INC. delivered training in Personal Financial Management for the entire staff of GCBL over a 10 week period. Feedback from participants spoke to the need to make that training a staple on the training menu for all new recruits. Training was informative, relevant and a definite eye-opener. Facilitators were knowledgeable, credible, professional and accessible to those requesting additional advice and counsel on money management. I would readily recommend GoBlue Inc.